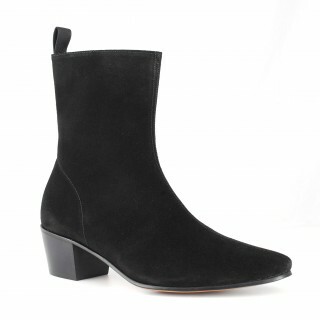 Inspired by the beatleboots of the 1960's - this style is a replica of the boot the Beatles wore, after seeing a pair of Chelsea boots in a London theatrical costume designers window, The Beatles asked for this style to be made for them. The Beatwear CAVERN range of boots are made on a European Last in Continental Italy. Due to the style of the boots, Beatwear advise taking a half size bigger than your regular shoe size, a wider foot should take a full size bigger.